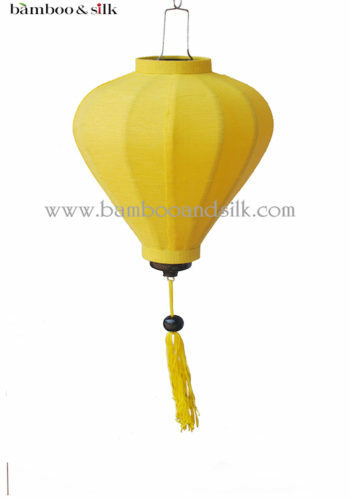 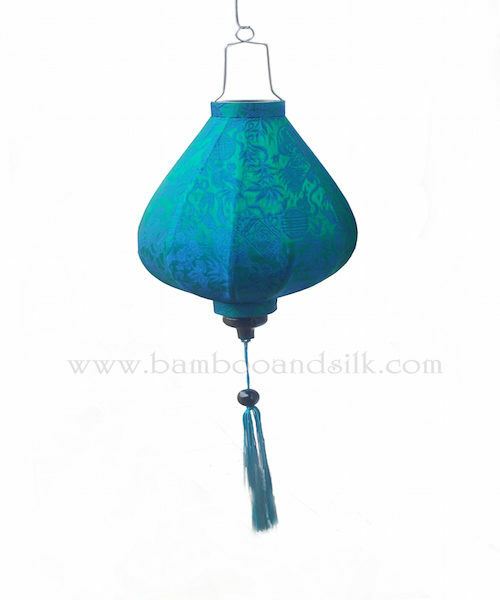 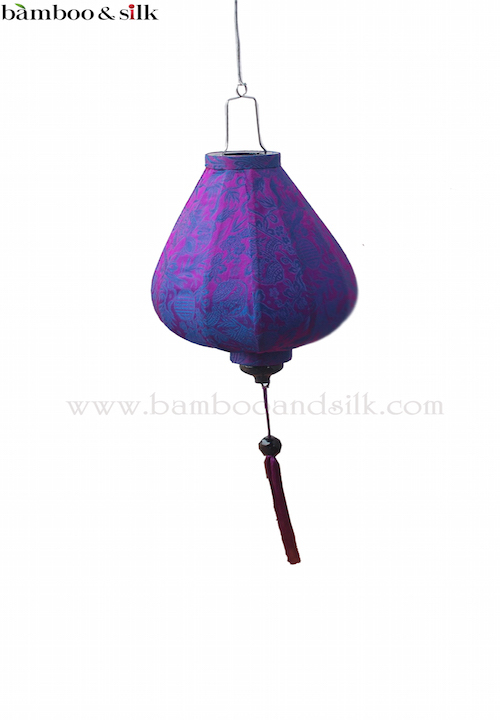 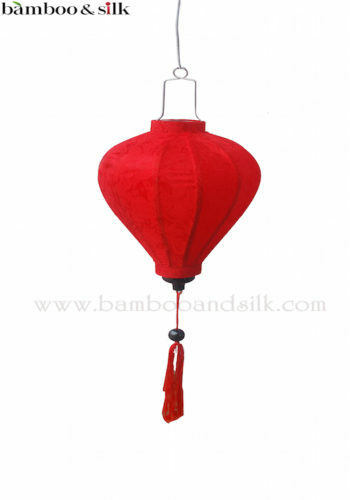 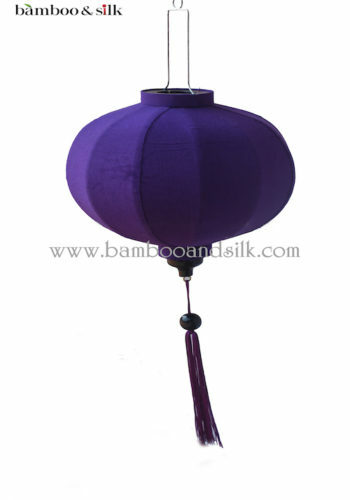 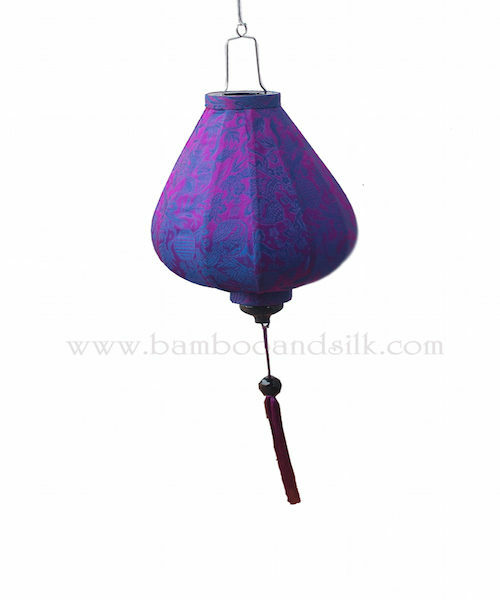 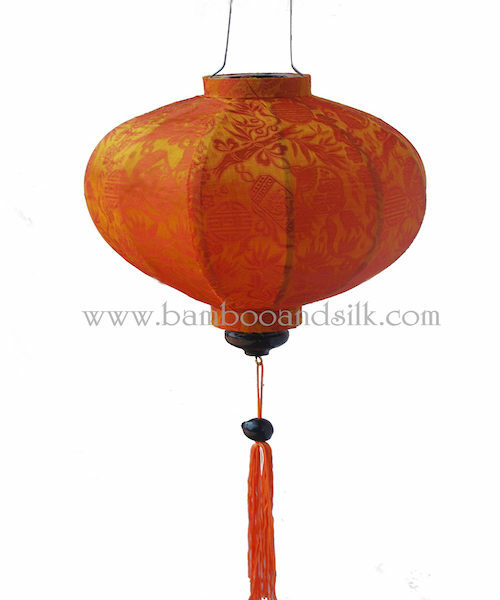 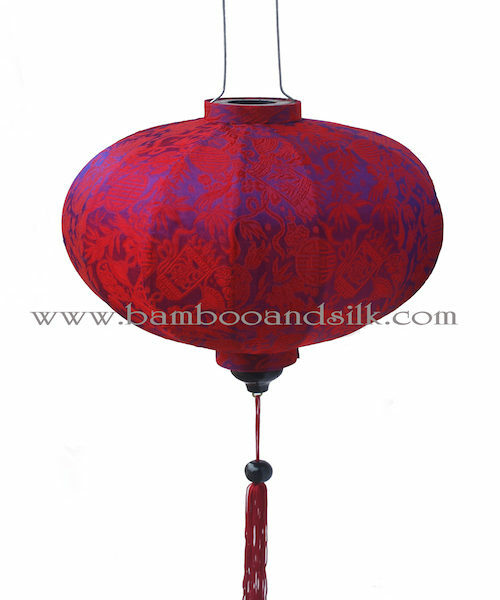 Categories: Bamboo Lantern, Jacquard Silk. 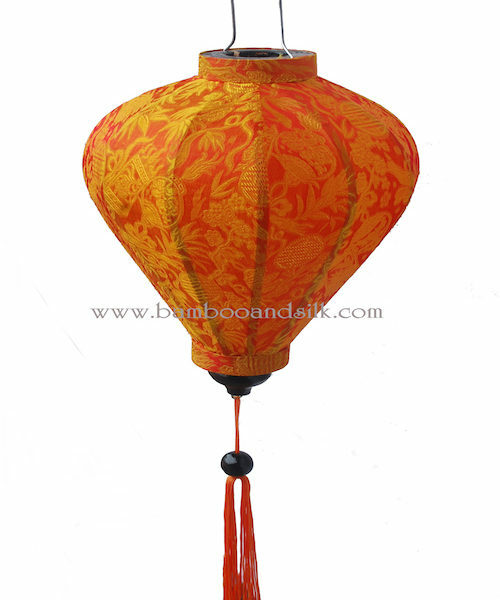 Lanterns to colour your world. 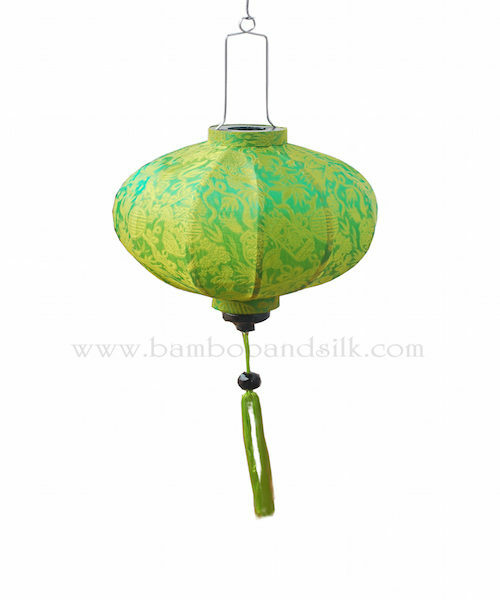 These Silk Lanterns are said to bring good luck to the house they inhabit, the shapes echo the fish traps and nets of Hoi An, a fishing village in Central Vietnam. 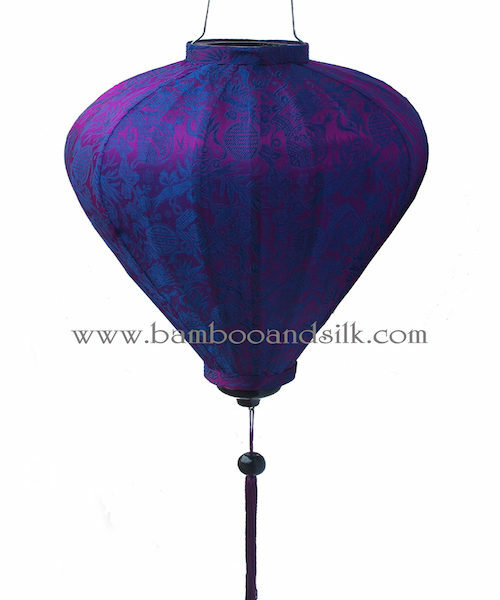 So beautiful when suspended inside or out in clusters of glorious colour and shapes, the sight of a silk always takes us back to the shores of Hoi An. 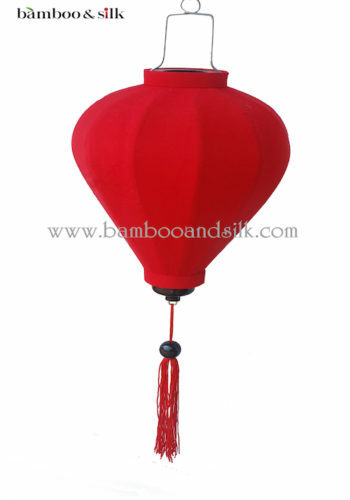 Height 20cm (not including metal frame and tassle).